The Renault Triber will be an all-new model and is come with a unique modular seating functionality, featuring a segment-first removable third-row seat. 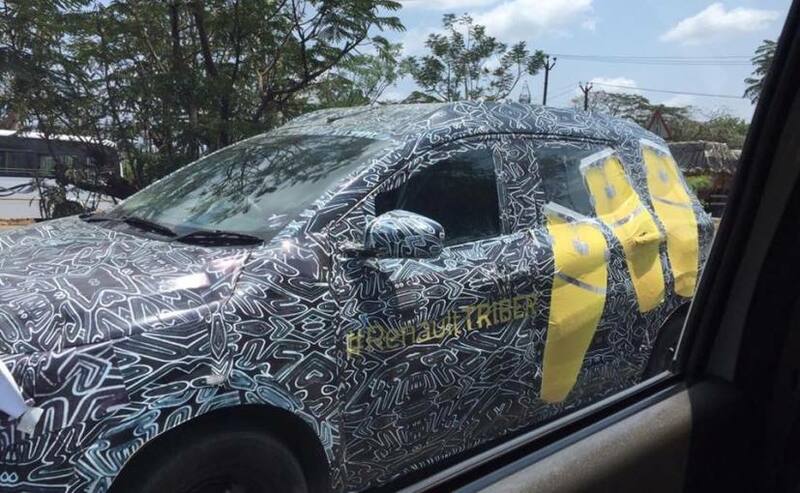 Images of the upcoming Renault Triber MPV have recently surfaced online, and this time around we get to see the prototype model draped in special Triber-branded camouflage. It was just early this month that Renault India officially announced the name of its upcoming all-new 7-seater vehicle with a coming soon teaser. Visually, the silhouette of the Renault Triber test mule hints at a compact MPV, similar to the Datsun GO+, but we don't think it will be a sub-4 metre vehicle. Courtesy of the heavy camouflage, there isn't much we can talk about the exterior design or styling, save for the fact that it will come with roof rails, rear windshield wiper, and a rear spoiler. On the other hand, the 7-seater model also appears to come with a decent amount of wheelbase, with shorter overhangs, which means despite its compact proportions, the MPV will be quite spacious. Earlier we had also shared our exclusive report about the upcoming Triber's unique modular seating functionality, featuring a segment-first removable third-row seat. While we do not get to see the cabin of the MPV in these images, based on some of the earlier spy photos, the new Renault Triber will come with a newly designed dashboard with two-tone black and beige treatment with a silver panel around the trapezoidal air-con vents. The MPV will also get a large centre touchscreen display for infotainment, which could come with both Apple CarPlay and Android Auto. Renault has said that the new compact 7-seater has been designed and developed for the Indian market and will be launched as a new segment. The upcoming Renault Triber is based on a modified version of the existing CMF-A platform that spawns the likes of the Renault Kwid and Datsun GO. That said, the Triber is expected to be a lot more rigid, offering improved crash capacity and more safety features to make it compliant with the stringent safety norms that will be regulated from October 2019. So, features like ABS with EBD, dual-airbags standard, rear parking sensor, driver seatbelt reminder, and speed alert could be offered as standard fitment. It's too soon to comment of engine options, however, the MPV is expected to get both petrol and diesel engine option, with both manual and automatic (possibly AMT) transmissions. The 1.0-litre engine from the Kwid with turbocharger could be one of the possibilities. 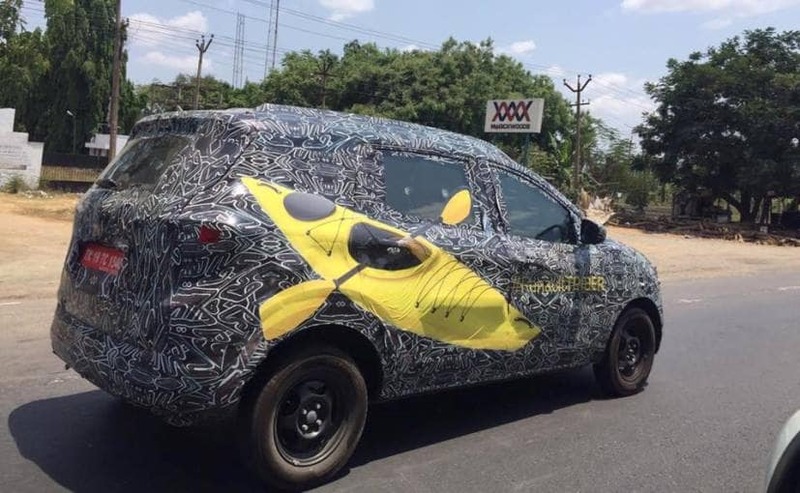 The new Renault Triber MPV is expected to be launched In India this year around the festive season, and it will be positioned in India between the Kwid and Renault's SUV offerings.